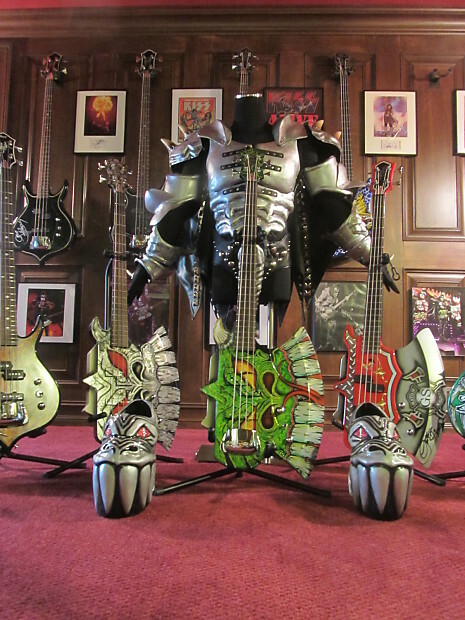 This is not stage played, nor is the Monster costume part of this sale. 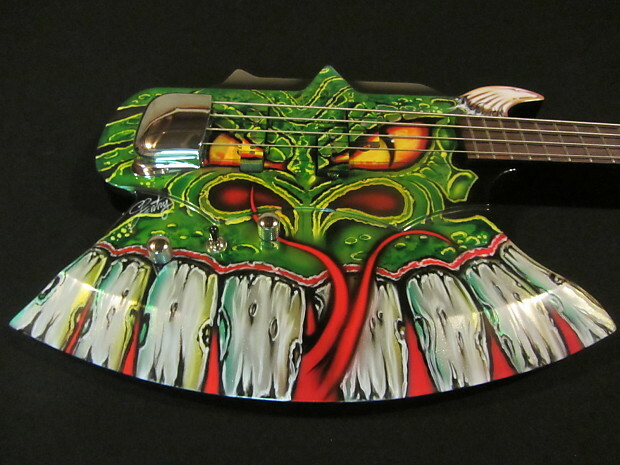 This is for the painted bass only. 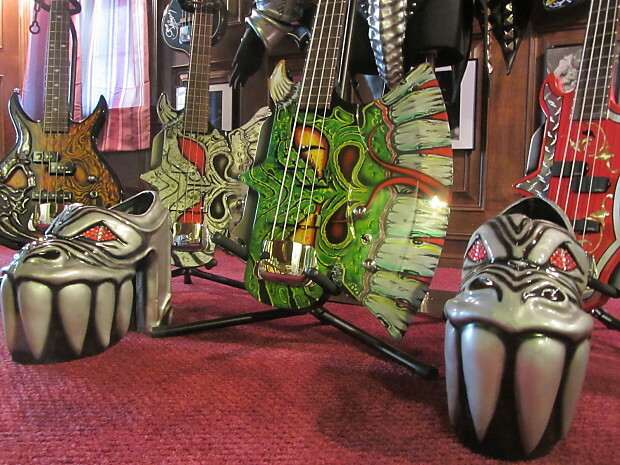 This is a one of a kind Custom Painted Cort Gene Simmons Axe-2 by none other than Gentry Riley!!!!!! 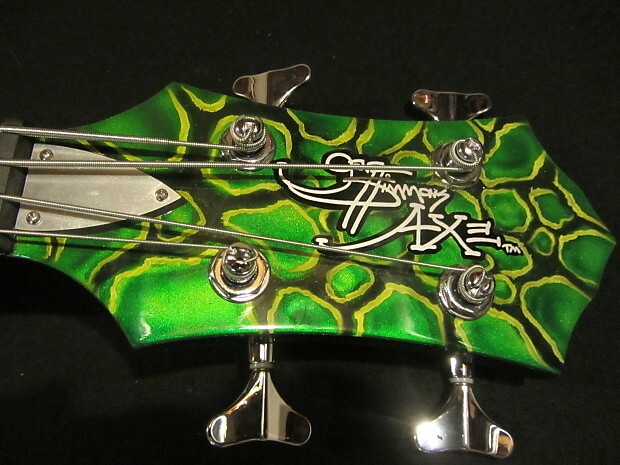 Gentry calls this one the Green Serpent with the "cat eyes." 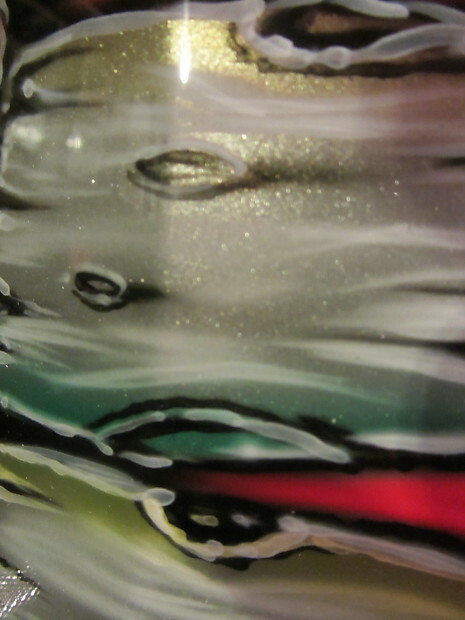 All of Gentry's work are truly one of a kind as all are painted by hand thus no two are identical. The "cat eyes" means the black slit in the middle of each of the dragon's eyes. 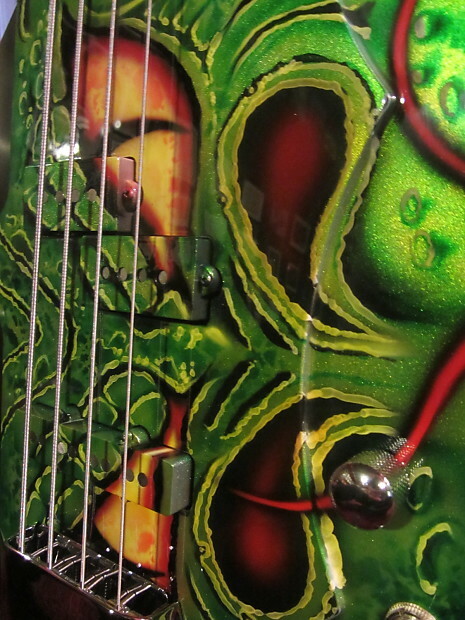 The serpent has metallic touches throughout, the cat eyes, the Mitey Mite pickups have been painted, and the head of the guitar features scales. 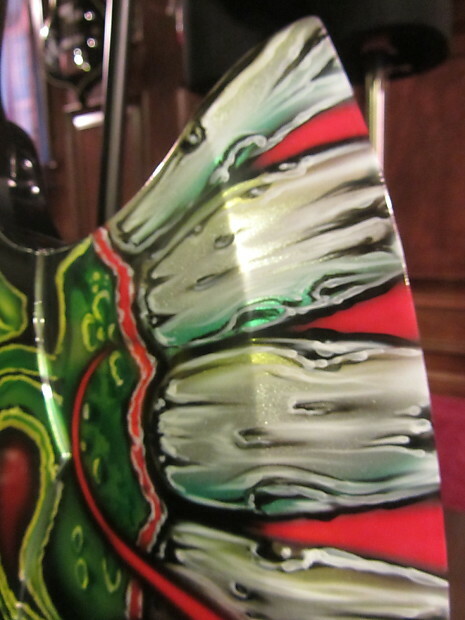 The back has not been customized and is the traditional black back. 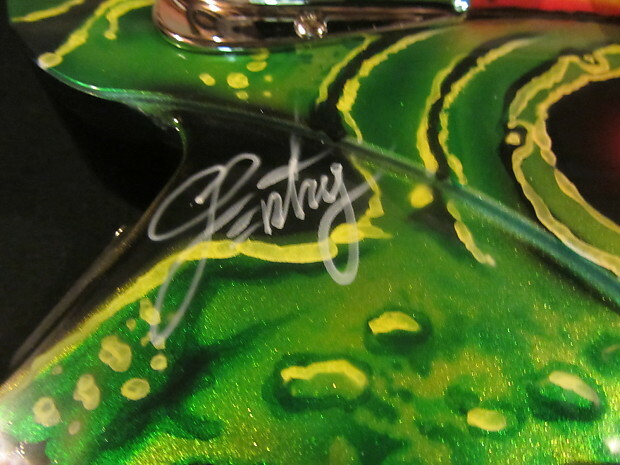 It has been signed by Gentry as well..
Gentry was the painter for Gene Simmons Axe during the Monster Tour and has created some of the most outstanding basses that Gene has played on stage. 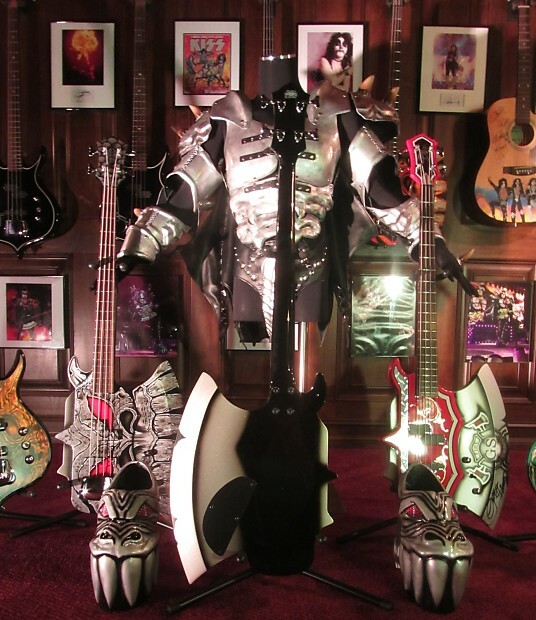 Comes with the regular Cort gig bag and has the blade cover. 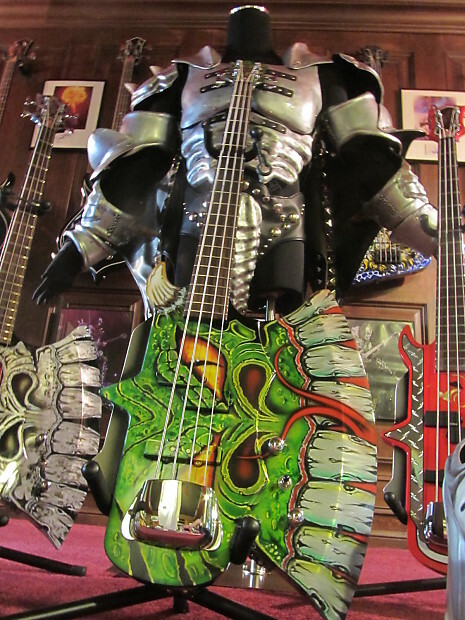 These axe bass and Punisher bass guitars are getting scarce, let alone a one of a kind custom painted one! Shipping is $75 via FedEx ground for domestic United States only (exclude AK, HI and PR). 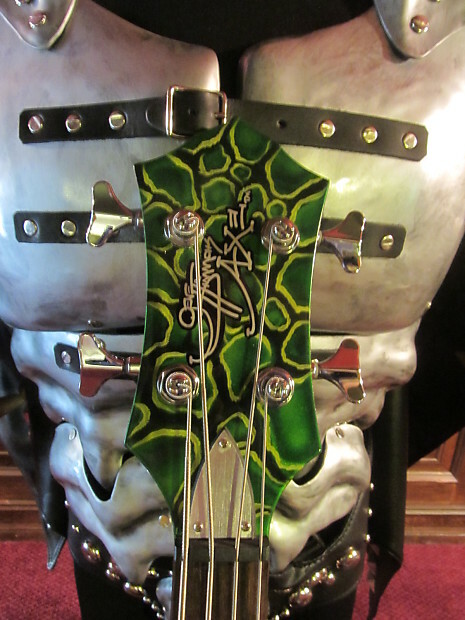 It will come fully insured with signature required.